Moments with the Mays: Our Halls are Decked! Christmas is my favorite. I started getting decorations out a week before Thanksgiving because it takes much longer to decorate with 2 toddlers. You can say I don't respect the turkey, but trust me, I respected it so much that a lot of it ended up in my stomach. That turkey is respected AND our house was decorated. Without further adieu, here is some of the May Casa 2013. 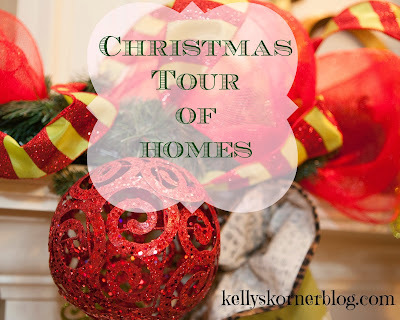 I linked up with Kelly today for her Christmas Tour of Homes! Go check out the other homes--so fun seeing all the decorations!